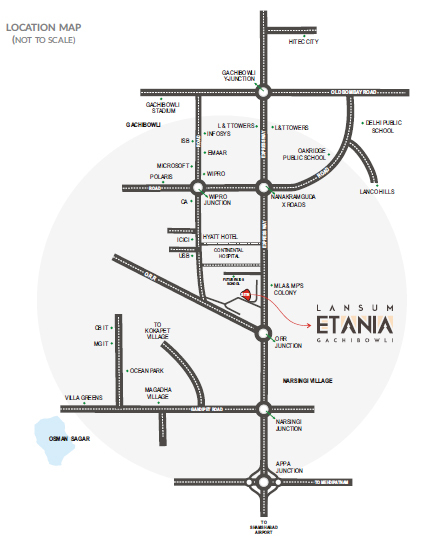 Lansum Etania:Relax in enriching environment and grand living spaces! Homes that are a cut above the rest are the essence of Lansum Etania – homes with a distinct flavour! 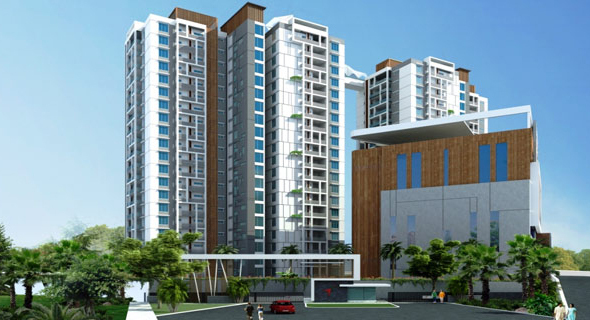 A project in the prime location of Nanakramguda in Gachibowli of Hyderabad. The project is well located in the heart of financial district and IT hub of the region. The highlights of the Lansum Etania Hyderabad are that it well caters to all three generations of grandparents, parents and kids in a family – with lots of thoughtfully crafted amenities for each age group. There are sit-out zones for elderly, playgrounds for the kids, and lots of facilities for adults. There is a 60,000 sq. ft. huge grand clubhouse across seven floors with the choicest of features, paved walkways, solar fencing compound wall, and 1.85 acres of central green courtyard in the campus! Sports, relaxation, rejuvenation, convenience – your wish-list, fulfilled to the hilt here! The campus is 8 acres of power-packed zone that lends its name from the energy of the sun. There are 7 towers that house the dwelling units here, all named after the sun. These are 20 floors tall each, and contain homes in gold and platinum categories. 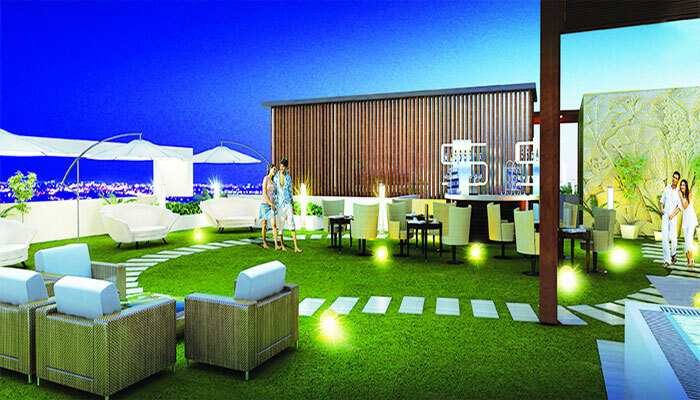 The formats of the homes are 3 and 4 BHK sets, such that there are 552 super luxurious apartments here. The homes are elegant and planned with grand layouts. The sizes of the homes in Lansum Etania Gachibowli range from 1890 sq. ft. to 4085 sq. ft. overall. These are splashed with lavish interiors. The platinum sets even have grand terraces! The project is green and caters to 76% open spaces, which have been achieved via a 2-level car parking, such that precious podium stays free for more features. The landscaping here is well designed and contains alcove surprises like open amphitheatre for nature’s inspired performance to celebrate in community bonding style. There is grand entrance lobby in each tower and a walking trail has been designed along the green buffer zone. Blooming shrubs, pergolas and a natural nala with rock landscaping add to the rustic charm that amalgamates with the plush modern development. The Lansum Etania Price is set at Rs. 4499 per sq. ft. for gold apartments and at Rs. 5499/- per sq. ft. for the platinum category. Slated for possession by December 2018, these homes are your call to a soulful living! Live in a wealth of bliss here! Gachibowli is a bustling suburb of Hyderabad with the establishment of several residential projects here. This outskirt of Hyderabad has been the new hub for real estate developers to initiate housing properties here. Gachibowli is a software hub for companies operating from Hyderabad. Several IT companies are located here which has led to the development of outstanding housing projects here. Townships set up in this region are extremely affordable which makes this locality one of the choicest areas for investing into a property. The establishment of hotels, hospitals, education centres and sports centres has given a major boost to residential development here. This beautiful locality is well connected to other prominent localities in and around through its fantastic network of rail, road and air services. It is also connected to HITEC city.